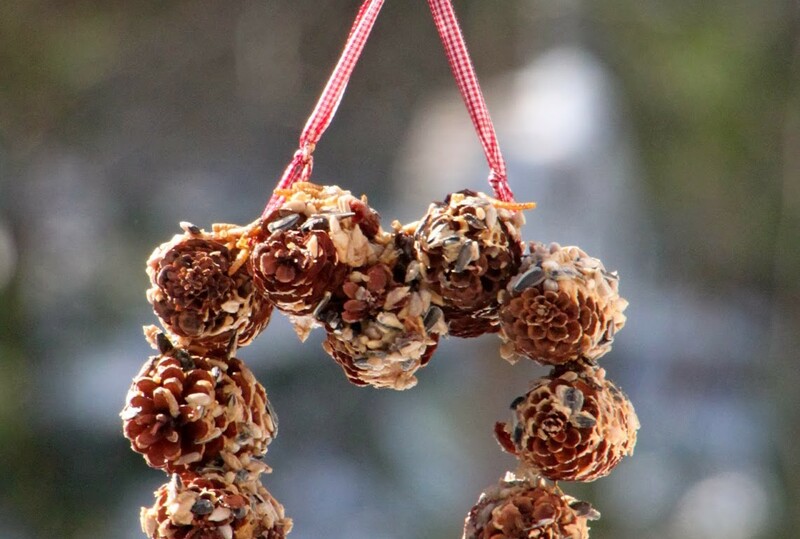 This year, we made a tasty treat for the outdoor birds to enjoy until the thaw of springtime. This treat is made with all things that wild birds can use to help them survive plunging temperatures. The kids and I usually always make some sort of treat. For this one, we collected pinecones from the woods, coated them with peanut butter and rolled them in seeds. We even turned them into a heart just in time for Valentine’s Day. 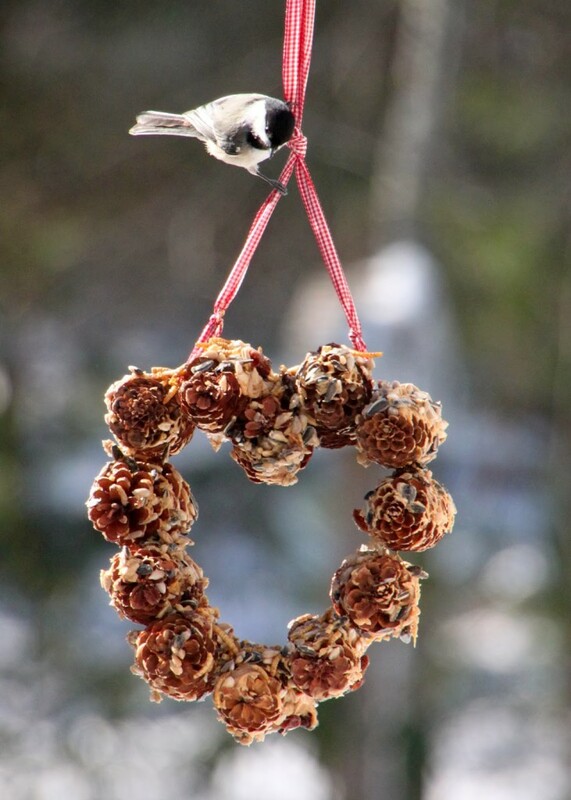 Immediately, this sweet and savory treat was visited by a black capped chickadee. I am betting the same thing will happen in your yard too.